To solve the problem you need to realize that the tangent line and the function intersect at the point where x = 3. So f (3) was the same as the point on the line where x = 3. Therefore, f (3) = 5(3) + 2 = 17. 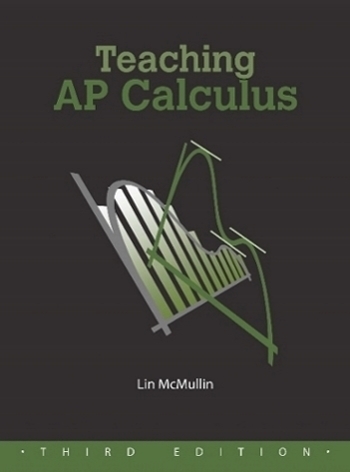 In my previous retired years I wrote a number of questions for several editions of a popular AP Calculus exam review book.2 I found it easy to write difficult questions. But what I was after was good easy questions; they are more difficult to write. One type of good easy question is one that links two concepts in a way that is not immediately obvious such as the question above. I am always amazed at the good easy questions on the AP calculus exams. Of course they do not look easy, but that’s what makes them good. Now a month from now this question will not be a difficult at all – in fact it did not stump all of my students this week. Nevertheless, appearing at just the right time, I think it did help those it did stump, and that’s why I like it.